Power is defined as the “time rate of doing work.” It has often been said that in sport, speed is king. At CrossFit, “power” is the undisputed king of performance. Power is, in simplest terms, “hard and fast”. Jumping, punching, throwing, and sprinting are all measures of power. Increasing your ability to produce power is necessary and nearly sufficient to elite athleticism. Additionally, power is the definition of intensity, which in turn has been linked to nearly every positive aspect of fitness. Increases in strength, performance, muscle mass, and bone density all arise in proportion to the intensity of exercise. And again, intensity is defined as power. Power is one of the four defining themes of the CrossFit Program. 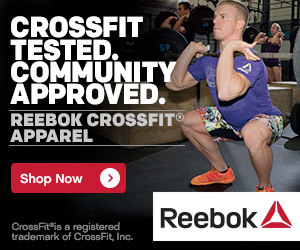 Power development is an ever-present aspect of the CrossFit Daily Workout. —courtesy of CrossFit, Inc.